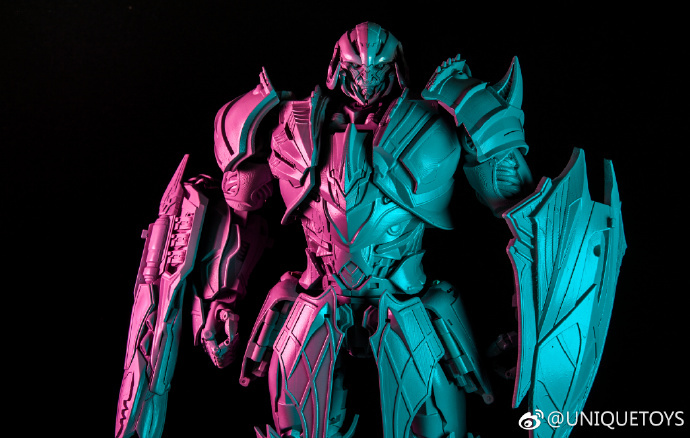 Unique Toys on Weibo*has shared a small gallery of the gray prototype of their upcoming*Unique Toys UT-R03 The Last Knight Megatro. Unique Toys is bringing you a new third party option for Optimus Prime as portrayed in*The Last Knight film. *The figure looks really solid and detailed, including his iconic battle sword. While the robot mode really shines on his own, the jet mode may not be as accurate as we could expect, but keep in mind this is a prototype and several changes may be done in the future. The images reveal a possible new accessory that could be &#187; Continue Reading. The post Unique Toys UT-R03 The Last Knight Megatron Prototype appeared first on Transformer World 2005 - TFW2005.COM.